There is an ennui. It is the nagging suspicion that everything has been mapped. It’s that claustrophobic sensation that all serious mysteries have been surmounted. What is one to do with wanderlust? 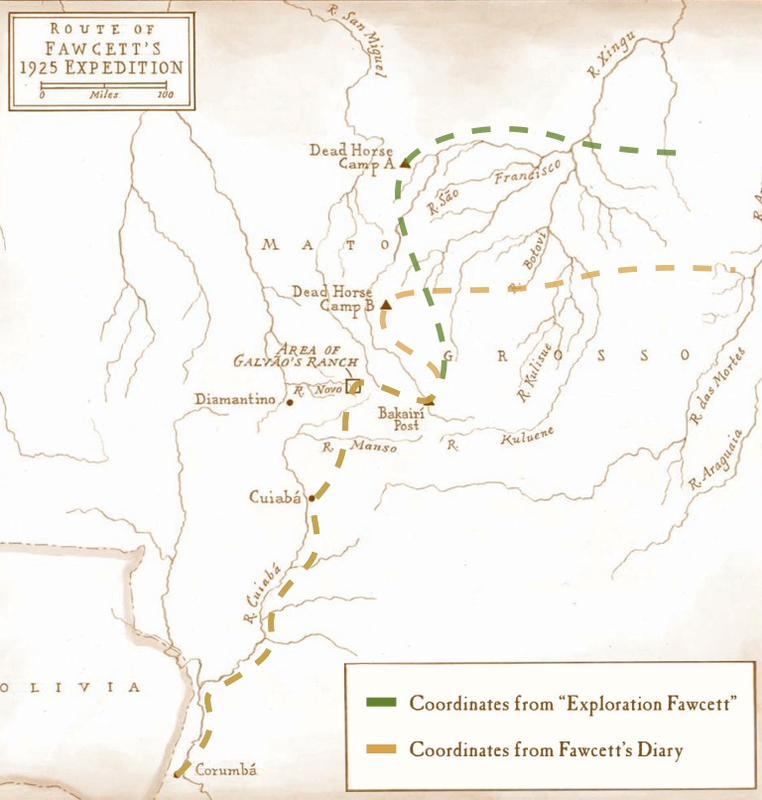 Henry Percival Fawcett, his son, and a family friend had disappeared somewhere round the Xingu National Park. The vanity of early twentieth century exploration had certainly spelled doom for that vastly inadequate force. Fawcett did not want to suffer the fate of Scott who had glory stolen from him by Amundsen. Towards this end he had provided false coordinates. The real goal lay somewhere between the Tapajos and the Xingu tributaries. A fact that was uncovered by the unlikely David Grann a nebbish news hound in 2005. All these years and that statement “the last great blank space in the world” remains as salient as ever. Despite satellite imaging, drones, and the whole blasted litany of high-tech abominations… that thick impenetrable canopy still hid as much as it had in Carvajals time and many aeons prior. It was a rare treat. I blessed Thornton for the opportunity as these thoughts ran through my head. The mystic sensations swirled round me like the currents round the aluminum hull of the twenty-five foot outboard driven boat that served as my bed. We were following in the footsteps of Expedition Fawcett and Expedition Lynch. The latter having occurred in 1995 was more closely aligned with our current method. Much as it had appeared those two and nearly half decades prior…that was the state of the jungle. Overgrown. So we had to proceed up the Xingu by boat and have our supplies air dropped in the field next to Kuikuros settlement. Although it was an altogether different Kuikuros settlement, an altogether different dead horse camp, because we followed the true coordinates from Fawcett’s diary rather than those published in Expedition Fawcett. We were not after Fawcett, we’d be thrilled to learn of his real fate, to find his bones, but what we sought was far more elusive. What we sought was not some dead mans fate but what Fawcett had sought: The Lost City of Z or rather its method. If this seem unduly cryptic I apologize and promise that it will become clear soon enough. My circuitous methods may be unsavory to some but there is a reason for them. It is difficult to piece together these mad events so many years after their occurence. More difficult still after the chemical lobotomy I’d narrowly thwarted at the facility. I do remember the salient details. Yes, many of them are too deeply buried in esoteric contexts that too few could fathom. But the core of what I communicate should help bolster our flailing humanity despite such hurdles. Hoyt’s map that was the key. It was what Fawcett had been missing. Even if Fawcett had found the actual location of Z he would never have been able to enter it. This was not a labyrinth that could be decrypted. And so it was that the old Portuguese map Graham’s ancestor had pilfered from RGS had found its way into the hands of P.L.A.T.O. the organisation most suited to implement it. As the gangly scion of that weird little Cambridge club played strange airs on the guitar I fell into even stranger dreams. NOTE – I know that I promised in my last post to start making these longer and I will! Bad habits die hard but die they will. As I promised I will post again on Monday. I’m hoping for at least a quarter of a chapter. I hoped you enjoyed what I was able to muster and see you soon! Annual eye exam means dilation which means two hours of potential research time gone to the blur!